Montres de Luxe creates watches that are meant to amaze and thrill whoever wears them, taking them into a world made up of beautiful things. 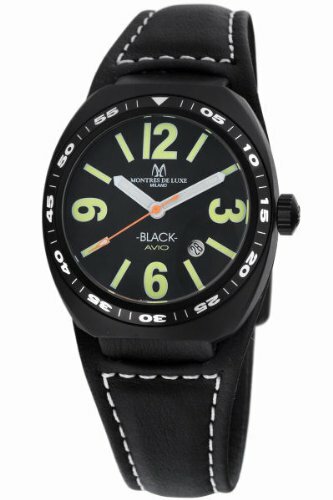 A person that wears a Montres de Luxe watch has chosen a product capable of communicating emotions, transmitting the pleasure of owning it and enhancing the wearer’s personality. Preciousness and elegance are an integral part of the design, where research and attention to detail prevail, aimed at creating watches that can be worn with confidence on every occasion in life. Their inspirational dream was to build up the Italian watch-making tradition, with regard to both design and production, making use of product characteristics that have made Italy famous all over the world: style, image and taste for the beautiful things of life, expressing their culture and professional experience in the products. Their inspirational philosophy is to create a special world, distinguished by the joy of living and of beautiful things, by the image of a modern lifestyle, closer to nature and the open air, a more human dimension in working and creating.